Trump, the Republican presidential nominee, said the US should get along with Russia and that Putin doesn’t respect Clinton, the Democratic nominee, or President Barack Obama. “Putin, from everything I see, has no respect for this person,” Trump said, pointing at Clinton. 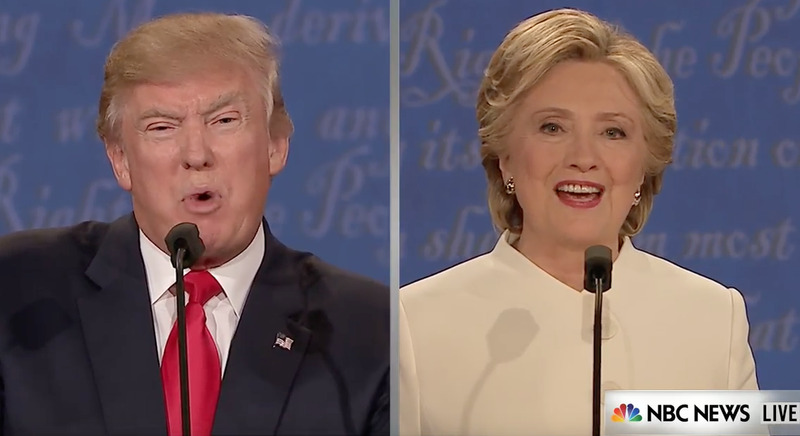 Clinton ignored Trump’s interruptions and accused him of encouraging Russian espionage of the US. Clinton pointed out that several US intelligence agencies have found evidence that Russia was behind recent hacks of Democratic Party organisations that they allege were meant to influence the outcome of the presidential election. Trump than implied that Clinton doesn’t like Putin because he is smarter than her.